I have the Givi Outback Trekker setup and would not recommend it for 2up riding. The side cases sit up very high and to far forward, using up almost all of the available leg room, they dig into my wifes thighs. I wound up doing a custom setup to lower then and move them back but it's not worth the time/energy if you have not already purchased them. I'd go with the Shad setup, it's cheaper and better. My top case is the 58L and I'm not using the side supports on it because I ordered the wrong one. They made a change to the 2018's and now the side support does not do anything so I didn't bother. The one I have is for the 2014-2016. No issues but I don't overload my top case either. kappa is the same company as givi and they have a new 48 that givi does not. Last edited by slipstream; 03-25-2019 at 09:01 AM. New bike! Congrats. You back from Baja already? Lots of my rides are 2 up and I use the Shad 40 cargo so I can put light bulky stuff on top, very handy while out shopping. I like the Shad because you don't need a key every time you want to open it unlike the Givi. 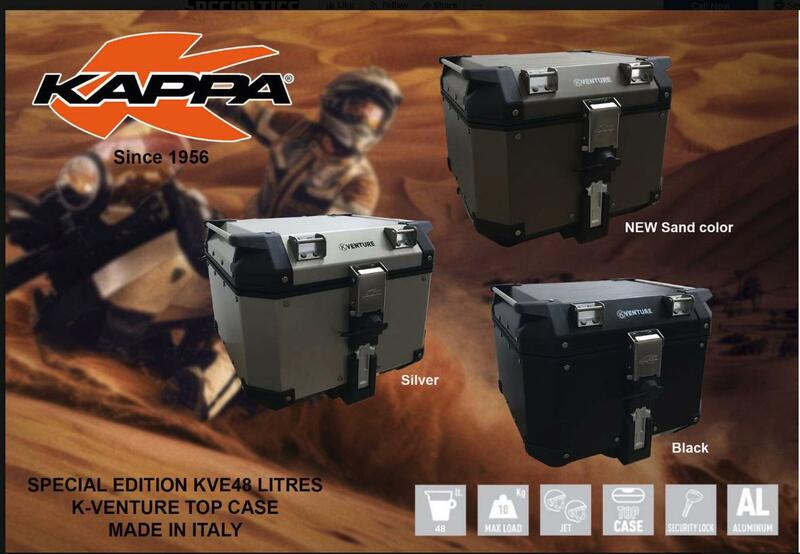 Have a look at the Coocase Astra 48 litre topbox. Looks great with a silver lid and smoked lense. A pillion backrest is available as an accessory (unless mounting the topbox to existing Ventura "L" bracket frames). Great size and cheaper than a Givi topbox. 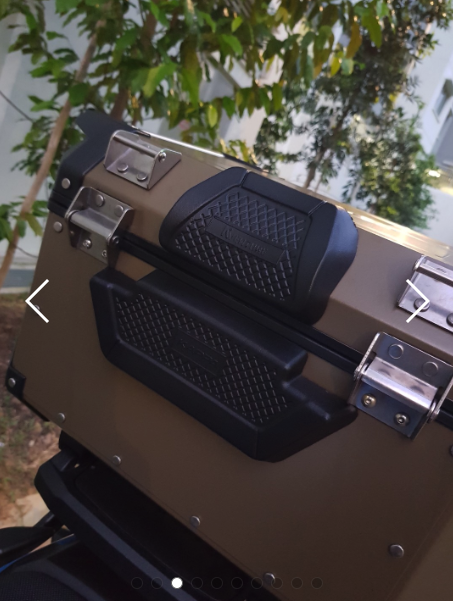 I have the Givi V47 tech case on my V2 along with the same aluminum mounting plate slipstream has pictured. The wife and I are both fairly "healthy", her at 5'8", me at 6'1" total weight approaching 400# combined weight, and she doesn't have a problem with the case. The first time she rode on this bike was last month when we went to Big Bend, and it was only a couple hours at a time. The optional backrest may slightly move the contact point forward a little, but I optioned mine without it because the wife doesn't ride with me very often, and she didn't say anything about not having one. My case will fit my full face and her 3/4 face just fine. We had gloves and jackets, so when we stopped for any amount of time, we would put my full face in the box (cause it's the most expensive to replace and has a Cardo unit) with gloves jacket, and we would hang here helmet on the bars. I tried putting some helmets in the SH48 today. I tried two XL helmets (Scorpion EXO 1100 XL and Shoei GT Air XL), and they do not fit at the same time. They almost fit, but not quite. I also tried the XL Shoei GT Air with a Medium Scorpion, and these two size helmets will fit. It's a little cozy, but the lid closes. The big issue with fitting these particular brand & model XL helmets, is that they both have that little "duck tail" at the upper rear part of the helmet and this duck tail requires extra space.